I already know people are going to get mad when they see a headline like this. Hard-line Israel supporters might say I’m questioning things that should not be questioned. Meanwhile, liberal non-Israelis will say it’s an idiotic question – so long as someone defines himself or herself as “Palestinian,” that’s what they are. Because I’m not touching any of these memes. For all I know, they may be right. In fact, I believe some are right. 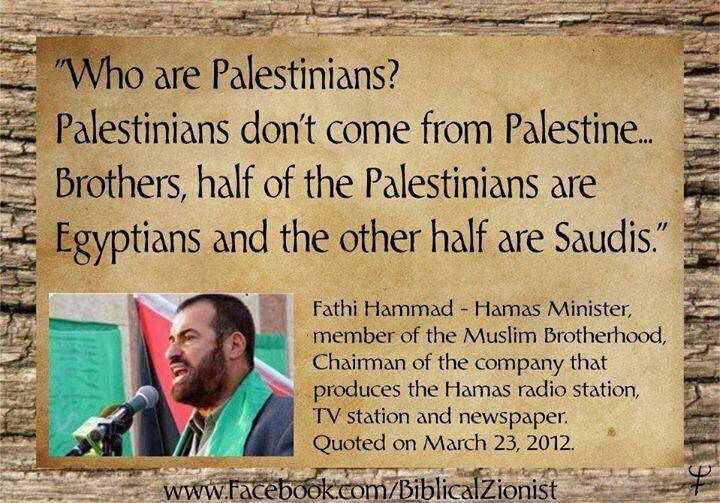 That doesn’t change the fact that today, for all intents and purposes, Palestinians do EXIST. Why? Because of the power of illusions. The power of stories. The power of narrative to govern how we live our lives. Illusions still have tremendous power to govern the stories that we tell about ourselves. Race is the biggest and best example of this. Race itself is an illusion - there is literally no scientific entity called "race," no scientific test to determine who is what race or colour or whatever. You can’t look at a person and tell if they’re black or Japanese or Swedish or whatever. Yet racism still exists. The only people who don’t think so are those who are privileged not to chafe against it every single day. What’s more, if you tell black people in the U.S., "Let's just forget about race - pretend it doesn't exist," I suspect that most would not be pleased. There are some illusions which we have lived with for so long that their footprints have become powerful in our lives, and they must be addressed now, whether they’re real or not. For better or worse, race has become a crucial part of people’s self-definition. In the same way that gay people, when shoved into a corner, reclaimed the word “queer” and turned it into something positive, people have built a lot of pride around racial identity. You can accept other people’s put-downs, other people’s racism, other people’s fear – or you can shove it back at them and respond with pride. 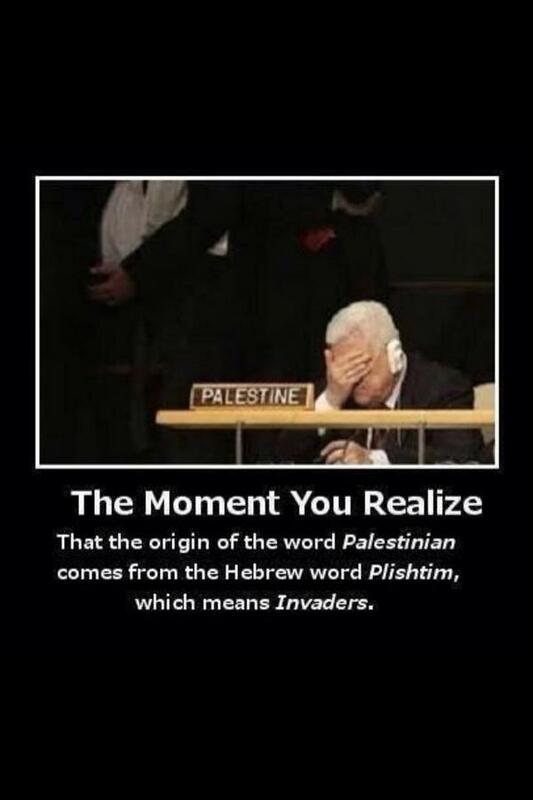 That is what’s happened with Palestinian identity. Seventy years, literally three or four generations of people being told that they are Palestinian has created the Palestinian people. So don’t bother saying they never existed – they exist now. They are telling their own stories whether we like it or not. And we figure rather centrally in their stories, just as they do in ours. I’m sick of the linguistic backflips, the lengths people will go to to avoid using the term “Palestinian” or acknowledging that such a people exists. They’re here… they’re near… get used to it. 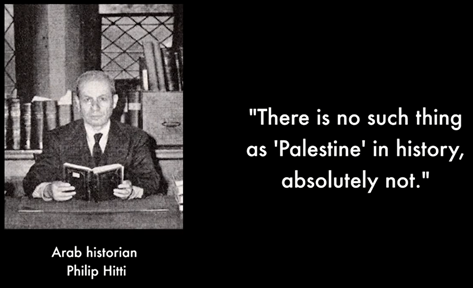 True, “Palestinian” may NOT have been a thing before 1948. 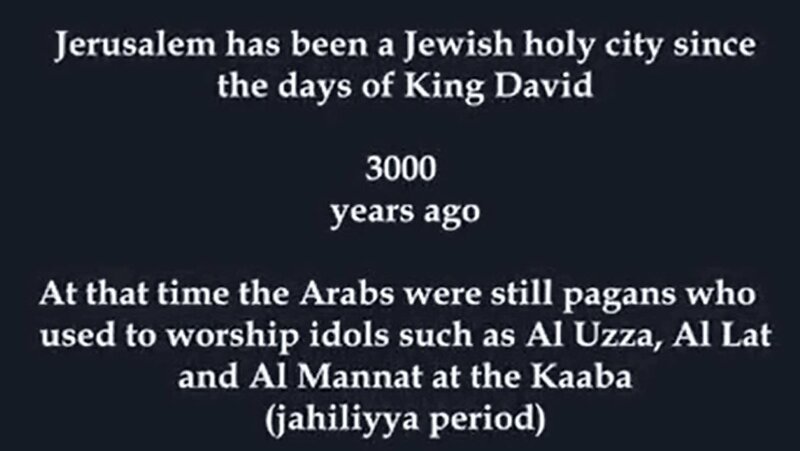 Before 1948, there were Palestinian Jews and Arabs and Christians, and many Jews even considered themselves Arab if they came from an Arab country and spoke Arabic. That makes sense to me. 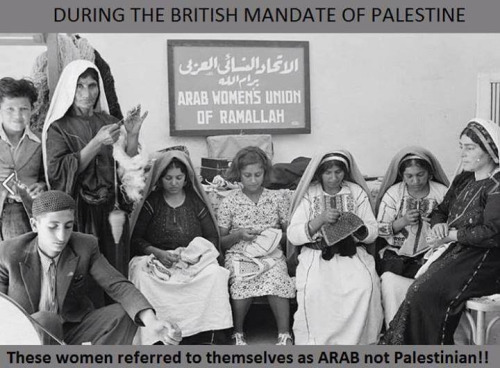 But the narrative since 1948 has been that only Arabs are Palestinians. These days, the narrative seems to be narrowing to include only Muslim Arabs, since many Christian either became Israeli Arabs or have since left the region. But saying "Palestine doesn't exist" is like saying "being black has no scientific basis and therefore you're not black." You may be right in one sense, but you are failing to recognize or acknowledge a 12-ton elephant in the middle of the room. So why don’t people acknowledge this elephant? Is it because we’re afraid? If we acknowledge that there are Palestinians out there, things could go very, very badly for us. But looking the other way isn’t going to protect us. Is it spite? Like, if they won’t acknowledge us, then we won’t acknowledge them? That doesn’t sound like the kind of moral leadership I know we’re capable of. Acknowledging that there are people out there, with a name they are calling themselves, doesn’t give them any leverage they don’t already have – because they’ve already claimed it for themselves. On a walking tour of Jaffa (Yaffo) a couple of years ago, our guide mentioned that some of the people we saw were Arabs, and one of the tourists asked, “are they Palestinians?” Because, of course, she’d heard so much about the region, about Israelis and Palestinians. There was probably a disconnect for her, having heard about Israelis and Palestinians for years, to see happy Arab people walking around among happy Israeli people. Surely these were not the Palestinians she’d heard so much about. Lots of people like to bend over backwards terminology-wise, using “Arab-Israeli” or “Israeli Arabs” to describe Arabs who are part of “us,” who live as more or less equal citizens in the area indisputably known as Israel, and saving the term “Palestinian” for Arabs who are more part of “them,” who live in areas governed by the Palestinian Authority (or not using it at all). But when you’re talking about brothers, aunts, cousins, friends – Arab society is socially governed by large clans or tribes, so almost everybody is interconnected somehow – there are no borders. Just as in the American war between north and south, the border is arbitrary and they are Palestinian on both sides, as some Israeli Arabs will tell you. To her credit, the guide’s answer to the tourist’s question – which I forget – was positive but nuanced, acknowledging the difficult shared history and the fact that life on the ground is rarely as simple as the news makes it out to be. Needless to say, these are not popular ideas. What’s even more shocking is that Palestine-deniers sometimes try to have their cake and eat it, too. The same people who will happily tell you there’s no such thing as Palestinians were passing around a video last week on Facebook that I won’t share here, but basically, it said that since 1948, Jews in Israel have done all kinds of incredible things, like inventing drip irritation and saving lives, while Palestinians (wait, I thought they didn’t exist, you guys?!) have done nothing but murder Israelis. This video made me mad, as anything so hopelessly skewed is bound to do. First of all, the area most Palestinian Arabs live in is disadvantaged in ways Israel is not. Geographically isolated, oppressed by its own government. These are facts. “Palestine” wasn’t even claiming to be a country back in 1948, so I’m not sure how the two can even be compared. Also, can we really contrast what Israel, a legitimate nation, has done since it was founded in 1948 with what Palestine, an entity struggling to define itself (and mostly defining itself as "a world with no Israel"), has done since… again… since what? It wasn’t founded in 1948. However you may view Palestine - and we can leave that an open question - its goal has NOT been furthering high-tech or drip irrigation or whatever but mainly establishing itself as an independent state. It’s just not apples and apples. Compare Israel with India, another country liberated from the British around the same time. India's done pretty well. Lots of high-tech, along with guys named "Bill" who call me every once in a while to tell me they'll be in my area to clean my ducts. Wikipedia says Palestine declared independence in 1988. So maybe they can be judged on that 30 years... maybe. And in that time, despite a government funding terror and bent on Israel's destruction, they've still managed to create numerous universities and even collaborate with Israel on numerous scientific, ecological, and other projects. Some Palestinian people are, b"h, succeeding where their "government" is not. Like so many things here, it's complicated. So many people look away; they pretend the issue is simple. 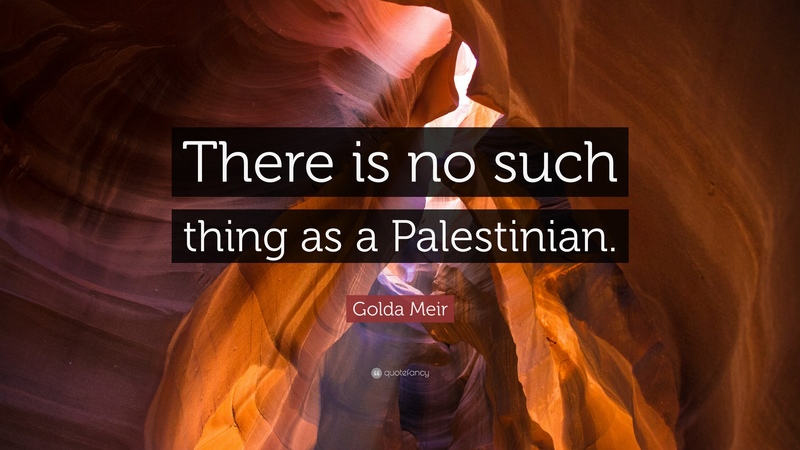 Once you say “There are no Palestinians,” the debate is easy. If a person claiming to be Palestinian stands up to talk – well, you don’t have to listen, just as if a fairy or leprechaun were trying to get your attention. But try saying that about black people. Try saying that about Jews. All these definitions – including any way you happen to define yourself – are illusory to some extent or another. Imagine somebody saying they don’t believe in you. It could happen – easily. Pretending a complicated situation is simple is manipulative at best. And all I’m demanding is honesty, on both sides of this conversation. I won’t insult your intelligence by pretending I have answers. But nobody in the world is going to come up with answers if we just sit around covering our eyes and pretending the problem doesn’t exist. Better to stick with tips on a successful Aliyah than playing the political game. Chag sameach, and thanks for stopping by! First, I don't think politics is a game at all. Second, I don't think this is about politics at all. Third, why do you believe it's better? Just curious.